This beautiful puzzle is deceptively challenging. 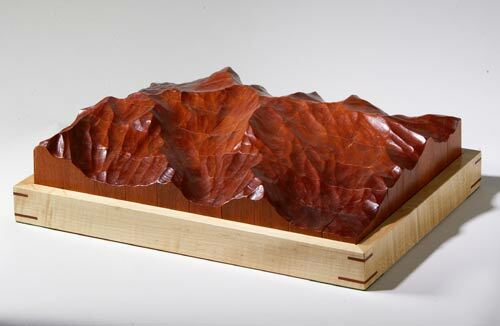 Made from squares of solid mahogany, it is hand carved to resemble a mountain range and sits in a maple frame. Each puzzle is unique and, though similar, no two puzzles are exactly alike.